A Place to Grow is an award-winning picture book sprouting to life in this app! 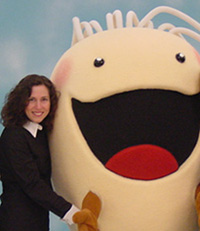 Tap and learn of the tiny seed’s exciting travels as it searches for its very own place to grow. A wonderful lesson for kids of all ages to be flexible and create happiness where you go, land, and grow 🙂 Kids can choose Narrator, Read it Myself, or Narrate the whole story and playback in their own voice. Parents can narrate for our kids that would rather have it read by their parents. This is a great app for Teachers of Preschool and Elementary to open a discussion on plants, diet, and the process of growth. There is a fantastic video for kids to watch that I could not resist including a bit in the review. This is a must have app for kids to enjoy over and over as well as playing the game modes and learning the fun way! A Place to Grow – Interactive Children’s Book is presented to us by Bloom & Grow, Inc.
A Bit Of The Video! The Seed Takes Another Trip! Draw and Learn – A Great Lesson Teachers! The A Place to Grow app is inspired by the award-winning children’s book of the same name. The original book is so full of movement, sound, color, and feeling that recreating the story as an interactive mobile app was the perfect format to bring the pages to life in a whole new way! In addition, since the book is currently being used in schools as part of healthy eating, gardening and diversity programs, we were excited to create a complementary teaching tool that combines reading and recording options, educational games and nature-oriented lesson plans. Plus, fans of the book kept asking for an app! One favorite aspect of A Place to Grow that really stands out is “heart.” Children seem to genuinely connect with the tiny seed and its universal journey on an emotional, heartfelt level. And if children’s hearts are touched and they feel personally invested in the characters and story, they will naturally be inspired to explore, play, learn, and grow! Other favorite components are the “learn & draw” lesson plans and the recording feature which allows the book to be narrated by kids, parents and teachers. 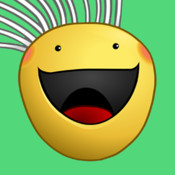 As a whole, this smile-inducing app makes education entertaining and entertainment educational! At Bloom & Grow, we are passionate about inspiring children of all ages to celebrate their unique journey and grow into their potential. Through our books, interactive content and other products, we create stories, characters and interactive experiences that cultivate learning, spark imagination, ignite laughter, nourish growth, and touch the heart. Bloom & Grow, Inc. is dedicated to enriching the lives of children, families and the communities in which they live. And if you enjoy the app, you can continue your journey with A Place to Grow at www.bloomandgrow.com by reading the award-winning hardcover picture book and playing with the adorable tiny seed plush toy!